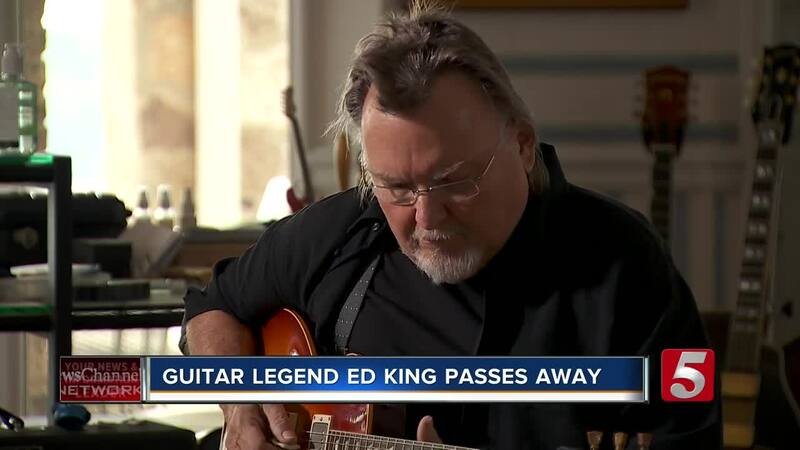 A collection of Rock and Roll Hall of Fame member Ed King’s guitars are available for purchase at Carter Vintage Guitars in Nashville, including the guitar that King wrote “Sweet Home Alabama” on when he was a member of Lynyrd Skynyrd in the 70s. 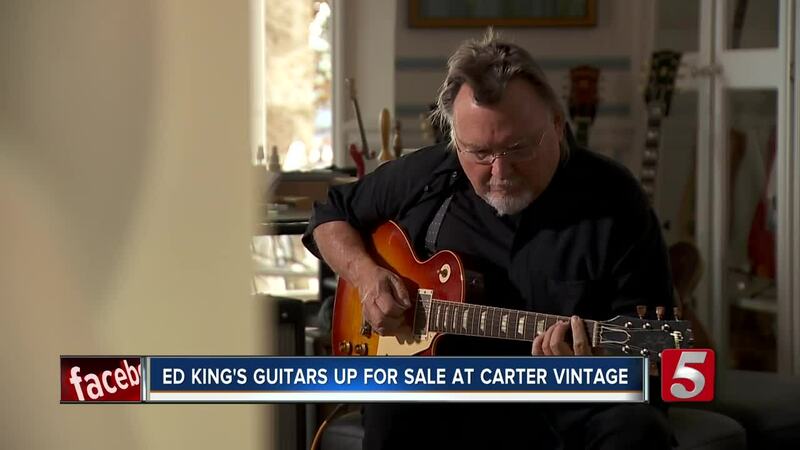 NASHVILLE, Tenn. — A collection of Rock and Roll Hall of Fame member Ed King’s guitars are available for purchase at Carter Vintage Guitars in Nashville, including the guitar that King wrote “Sweet Home Alabama” on when he was a member of Lynyrd Skynyrd in the 70s. King passed away in August of 2018, but prior to that, became good friends with Walter and Christie Carter at Carter Vintage Guitars, and trusted them to sell his guitars once he passed. The collection includes numerous vintage guitars, some worth hundreds of thousands of dollars, including multiple vintage Gibson Les Pauls that King was known for playing. King’s inspiration is strong in Nashville, with many guitar players putting him as an influence. On New Year’s Eve, Keith Urban and Peter Frampton paid tribute to King by playing “Sweet Home Alabama” during Urban’s “In Memoriam” set prior to the note drop. One artist that Carter Vintage invited out to play the guitars and record demos for the instruments when they’re put up on their website was 4-time Grammy Award winner and Americana/Country artist Jason Isbell. Isbell said it’s like the electric guitar was built specifically for that song. “It’s the kind of thing where it immediately changes the mood of the room that you’re in,” Isbell said of the Lynyrd Skynyrd smash it. We spoke to Ed King in 2016 about vintage guitars and Lynyrd Skynyrd, and he shared a story with us about how “Sweet Home Alabama” came to be, saying the melody was written in about 15 minutes, the lyrics were written in less than 2 hours, King dreamt the guitar solo in his sleep, and the song was recorded 4 days after they started writing it. Beyond the guitars being great instruments on their own accord, having been owned, played, and loved by Ed King adds a lot to how special the guitars up for sale are. The guitars are currently available at Carter Vintage Guitars, and will be listed on their website . The 1973 Fender Stratocaster that Ed King wrote and recorded “Sweet Home Alabama” on is listed at $450,000.